When you share your Public Mixmax Calendar or one of your Meeting Type calendars, Mixmax automatically determines your availability to prevent you from getting double-booked. 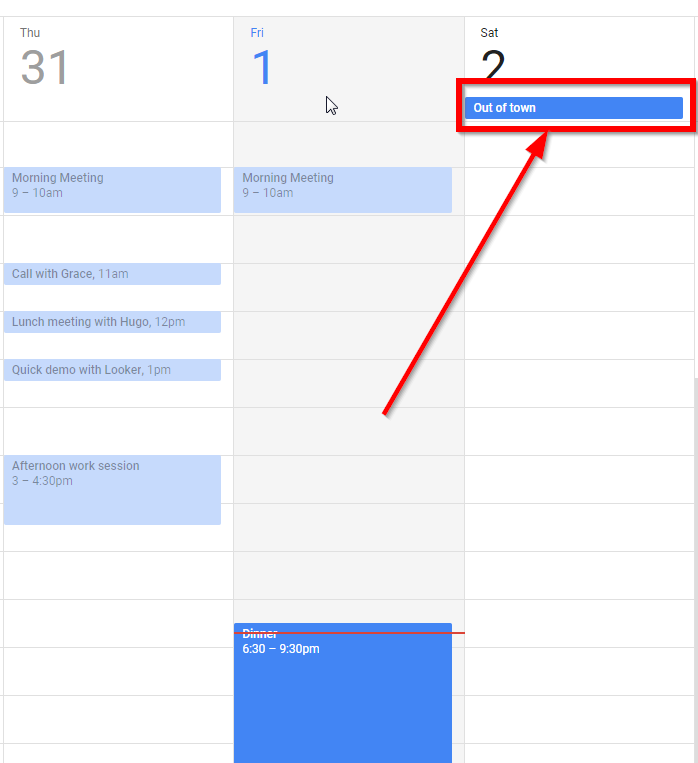 To determine if a time slot is available or not, we look at your Google Calendar. 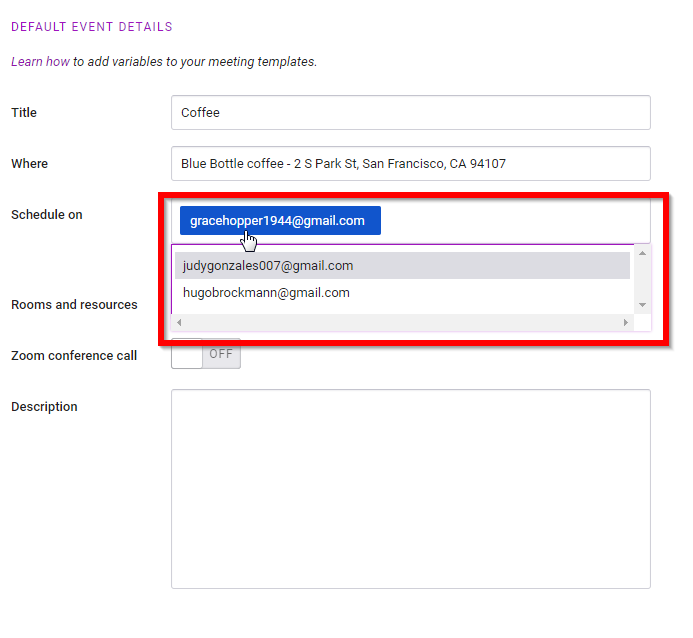 Then, we use your Mixmax meeting type settings to adjust your availability (learn more here). Mixmax avoids double-booking with calendar events that are set to “Busy”. 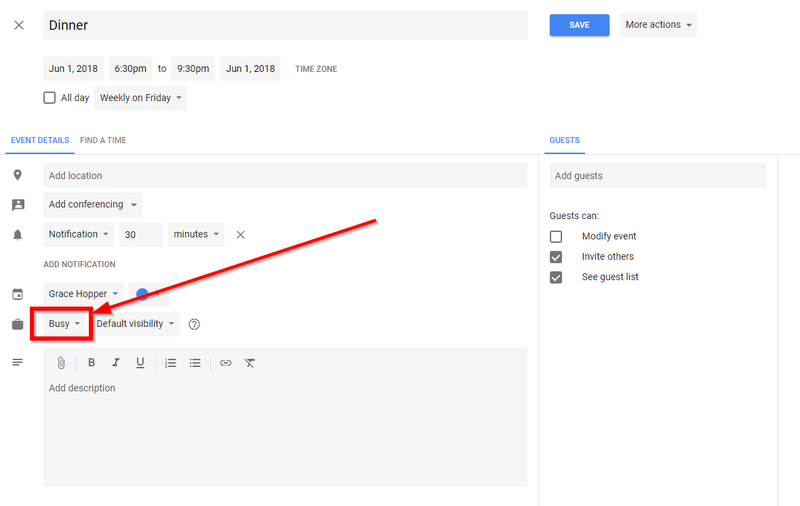 You can allow double-booking with certain events by changing the event’s availability to “Free” within your Google Calendar. This is great for events that you don’t mind scheduling over, like that Book Club you’d like an excuse to miss. Learn more about Google Calendar’s availability settings here. If you see no availability on a day when you should have availability, you likely have an all-day event scheduled. To allow booking, either delete the event or change its availability to “Free” (using the setting pictured above). By default, your public Mixmax calendar and meeting types will be scheduled on your main Google account calendar. We always look at this calendar’s events to prevent double-booking. For meeting templates, you can change this default calendar to any of your other calendars. First click on the default calendar, then select your preferred calendar from the drop-down menu. For specific meeting types, you can prevent double-booking on additional calendars by adding them to the “Prevent Double-Booking” section in your meeting type settings.